Karnataka Chief Minister HD Kumaraswamy visited the site where an under-construction building collapsed earlier this week, claiming the lives of 12 people. 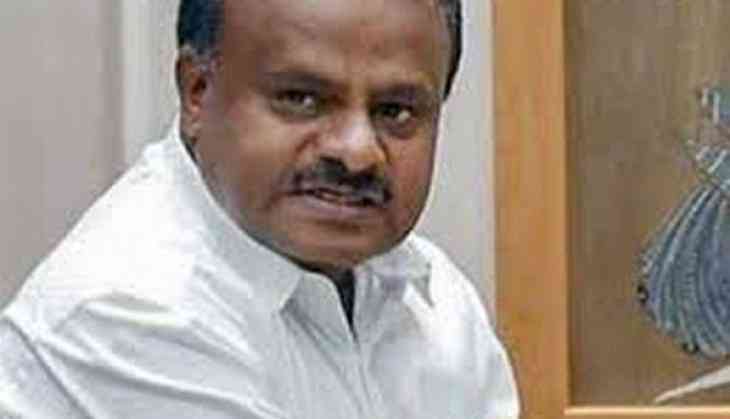 Speaking to media on Thursday, Kumaraswamy said over 10 people are suspected to be trapped under the debris. "It's suspected that more than 10 workers are still trapped under the debris. 12 deaths have been announced officially so far. The district administration has already announced magistrate inquiry, and the government is ready to appoint a retired High Court judge if required," he added. Meanwhile, Dharwad sub-division Assistant Commissioner Pankaj Kumar said 13 people died as a result of the mishap, adding that rescue operation is still underway at the site. "56 people have been rescued, 12 are missing and 13 dead. More than 400 staff comprising NDRF, SDRF, Police, and Revenue Department are involved in the rescue operation," he told ANI. The building, located in Kumareshwar Nagar, collapsed on Tuesday, following which the Indian Air Force airlifted two teams of National Disaster Response Force (NDRF) personnel to Karnataka's Hubli to assist in rescue operations.